finn johannsen kindly invited me to contribute to his 'rewind' series over at sounds like me. i chose to talk about one of the most important influences on my musical development, pan sonic. you can find the interview here (including a link to a live recording from pan sonic at sonar). much thanks to finn for the opportunity to discuss an act that is very close to my heart. Chris, were you at the Melbourne show with Pan Sonic and Sun O)) about 2005? I was there thankfully, to see all the metal heads go wtf for a while. Brutally loud. Plus, that was my first post after freeloading your ridiculously good sets for about forever... great blog and look forward to where it goes from here! this interview is one great translation into words of what I've experienced by listening to Pan Sonic since 2003.
thanks a lot for posting the sonar 2008 live too. I was there and had a quite unique physical experience (no chemicals involved) : halfway to their show, I felt my body starting to spin on its axis, and I really had to struggle to stand straight up and just dance in a 'convential' way. has anyone felt the same kind of dervish effect, or am I a freak ? besides, about the Pan Sonic influenced techno acts, I would add Emptyset, and their eponymous album released last year on Caravan. I was glad to find an act that could transcend their powerful and radical sonic and rhythmical approach, with the raw funkyness lacking to Sleeparchive for instance. @ A: yes, it was that melbourne show. one of the best nights i've had musically speaking. amazing. Seriously though- I never really got around to listening to Pan Sonic. Even though I wanted to, it just hasn't really happened yet (there's a lot of music out there in the world). I just got Oleva by Mika recently and I've been wading into that. I expect that I'll eventually come to love it- it comes across as one of those albums that you like at first, and then as you get more comfortable with it, it eventually becomes a part of your life you can't live without. What I'm trying to say is that this interview got me excited about entering the world of Pan Sonic. And the mix/ performance seems like a perfect place to start. So thanks! glad the interview helped. my suggestion would be to start with their earlier stuff, it is more accessible. 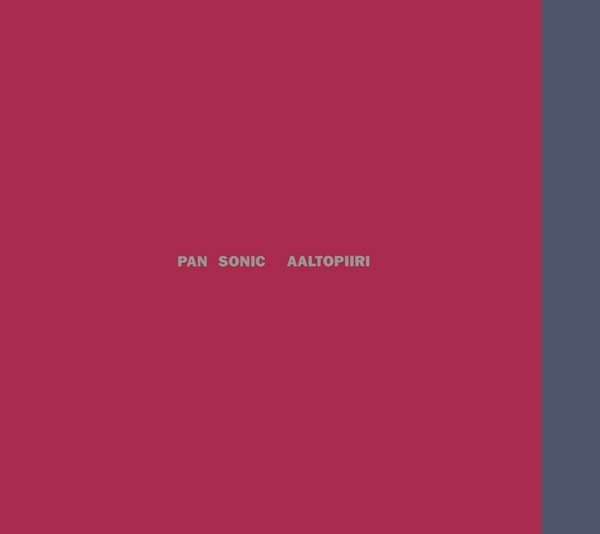 what i'd say about pan sonic is some of it can just be too much. dont expect to like all of it. but it is really worth exploring their sound and also mika's solo stuff. amazing, distinctive music. felt exactly same way when i saw them last December live in athens..
when i listened to Underground Resistance! Not only did i cry when i heard Final Frontier played live with instruments! but i also left the fest after their performance cause i was so much touched by what i was hearing i couldn't take any more... (not to mention i lost Aux 88 who played a bit later) although i regret leaving the fest so early that night, i will never forget how completely satisfied to the bone (musicalwise) i felt by UR..
so dear saintplacid no you are not a freak, you suffer under tremendous amount of sensitivity on music! only listened to Vainio's stuff before a couple of days ago. thanks a lot for motivating me to delve deeper into their sound. Kulma is absolutely blowing my mind. on my second listen now and I cant believe how good it is.